One Direction fans, get excited. Harry Styles is about to go on tour in 2018, hot off the back of his stunning self-titled debut album! With Kasey Musgraves as support, he’ll be rocking his new sound with all of us LIVE at the Hersheypark Stadium on Thursday 14th June 2018 – it's going to be a show that you’ll carry with you for the rest of your life! Tickets are on sale NOW and needless to say, they’re going fast! Be REALLY quick about getting yours if you’re serious about seeing Harry Styles live!! Country star Kasey Musgraves won the nation’s attention with her appearance on the televised singing competition Nashville Star. From there, she was signed to Mercury Nashville and released two best-selling albums! In October, she said she’s hard at work writing material for her third album – it’s possible by the time she hits the road with Harry Styles, she might have some of it ready for us all to hear!! As for Harry Styles himself, everyone knows his story. Part of the group One Direction, formed on the British television show The X Factor, he became part of the success story of the biggest boy band in the world. Now, he’s launched his rock-driven solo career, ready to delight fans with all new material until the group reunite. What are you waiting for?? 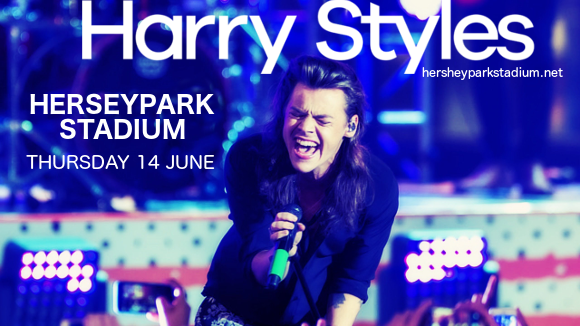 Get your Harry Styles tickets TODAY!